Readers may have heard the good news about the sales Fonterra achieved through its Anchor at the “Double 11” event. What happened was over a 24-hour period Anchor achieved over $28 mln in on-line sales directly to Chinese consumers thereby retaining high premiums for their products. More than 30 million people visited the Anchor online store within 24 hours and the equivalent of 8400 tonnes of product was sold. So, this begs the question, what is the "Double 11” event? A phenomenon not really recognised in New Zealand is that of on-line shopping festivals and the Chinese seem particularly hooked into them. 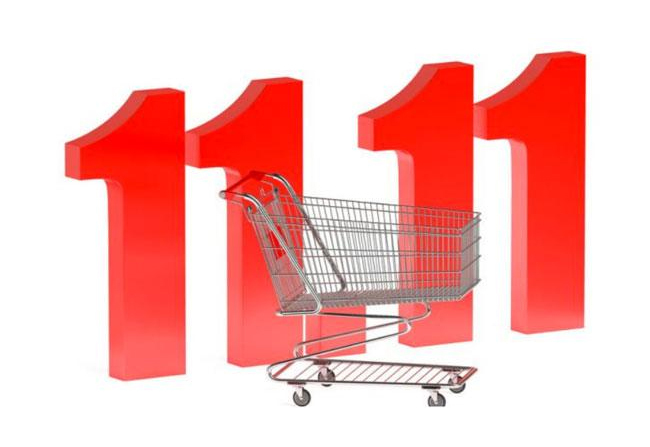 The Double 11 festival driven largely by the giant e-commerce site Alibaba’s, no doubt to boost their sales, was designed to ‘celebrate’ singles day with the Double 11 reflecting the four ones in the date (11.11) symbolizing single life. It has grown into one of the most successful ‘festival’ days with huge numbers participating. On-line sales on the single day within China are approaching US$20 bln which puts the NZ$28 mln of Anchor into some perspective; however, what it does is show the power of e-commerce. Fonterra’s interim CEO, Miles Hurrell, last month stated that Fonterra needs to focus on value not volume, which is a welcome departure from what appeared to be the mantra for the previous decade and beyond of production at all costs. E-commerce, which judging by the Double 11 result Fonterra appear to have adopted and have some success in, may well be an indication of the new direction. In an opinion piece, Chris Lewis the dairy chair of Fed Farmers indicates that perhaps there is a place for a bob each way asking the question “Do we want the industry to be value or volume based (or what's the right mix of the two?) and does DIRA provide dairy companies with the best framework to provide that?” Maximising the efficiency of the homebased stainless steel versus maximising overseas returns is a difficult balancing act, especially when Fonterra is also required to meet all the other requirements of the DIRA. There is an admission, it appears, that the previous administration didn’t get the balance right with too much focus on overseas investment which obviously didn’t turn into value. Arguably the worst of both worlds. With a bit of good news with the Double 11 sales perhaps this is a glimpse of what the future may look like. While we slept the UK cabinet were in meeting mode trying to (finally) thrash-out what the Brexit deal may look like and get some sort of agreement. One of the key sticking points is how Northern Ireland is dealt with. The fall out mainly concerns dairy with milk from Ireland currently going into the UK may move to the EU, due to border tariffs resulting from the introduction of Brexit, and effectively push more EU production onto the world market and act as a further dampener on world prices. However, with so many strongly entrenched standpoints being held within the cabinet the final result could go in any direction. Just when MPI’s communication appeared to have improved with them putting out a piece on how the testing process works  and some of the apparent myths around M.Bovis, they have managed to stub their toe again. Just three months after being appointed to the role, the Rural Support Trust (RST) Mid Canterbury welfare co-ordinator for Mycoplasma bovis response has resigned. Angela Cushnie, who has only been in the role for just three months has cited a decision made at the Ministry for Primary Industries (MPI) national office that was likely to have a ''significant welfare impact'' on farming families, with flow-on effects. Apparently, whatever the decision was has now been reversed but too late for Ms Cushnie who has not renewed her contract. A spokesman for the Minister for MPI, Damian O’Connor has stated that it was an “operational issue for MP” with nothing else revealed. So far the expected increase in affected farms predicted to occur in the spring has not happened and while some new farms with the potential of M.Bovis have been picked up the numbers are small and perhaps there is a glimmer that the disease battle may possibly be won.